“I just want to say to the men in this country: Just shut up and step up. Do the right thing, for a change,” Hirono said Tuesday, stealing the show at a press conference that featured several high-profile Democrats. 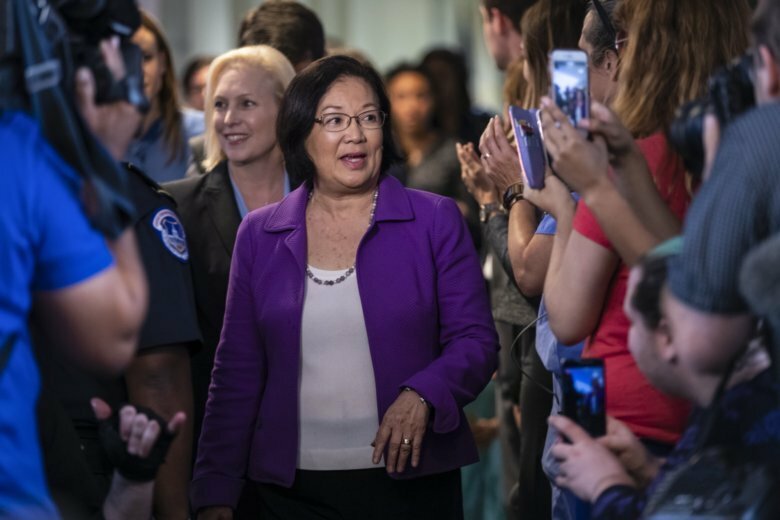 Hirono told The Associated Press Thursday in an interview that her “shut up and step up” comment hasn’t just resonated with women. Associated Press writers Lisa Mascaro and Dustin Weaver contributed to this report.